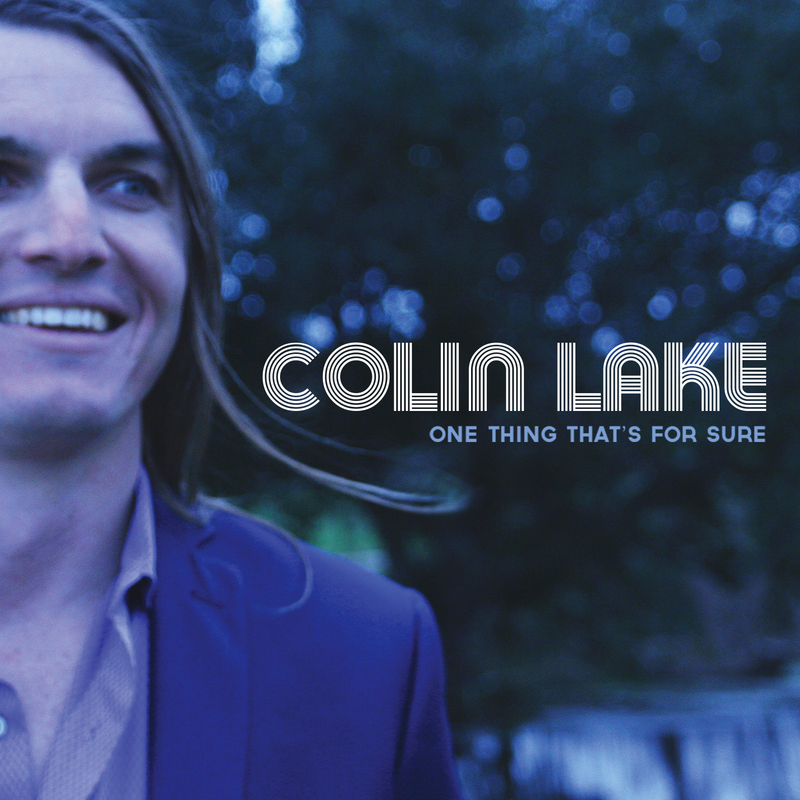 While scores of talented young musicians have flocked to New Orleans in the years following Hurricane Katrina, among the most outstanding is Pacific Northwest native Colin Lake, whose passion for life and innate feel for roots music makes him perfectly suited to the culture of the Crescent City. Lake quickly established himself as a subtle yet dynamic slide guitar master, performing at New Orleans Jazz and Heritage Festival, Austin City Limits Fest, Hangout Festival, the Key West Songwriters Festival and French Quarter Festival. His soulful vocals and searing touch on the lap steel reveal an affinity for the works of countless blues greats, but his knack for original song craft truly sets him apart. Lake shines in his Louisiana Red Hot debut, One Thing That’s For Sure. Produced by Eric Heigle (Arcade Fire, Lost Bayou Ramblers, Givers, Dr. John).He is joined by the cream of the young crop of southern musicians; including Luther Dickenson (North Mississippi All Stars), Maggie Koerner (Galactic), jazz vocalist Sasha Masakowski and actress/singer Topsy Chapman (12 Years a Slave). Paired with a band that includes veteran keyboardist Marc Adams (Eric Lindell, Tab Benoit, Marva Wright), bassist Bill Richard, and drummer Erik Golson, Lake delivers an album that moves from sunny summer jams to powerful love songs, haunting instrumentals and dark, scorching rockers. Fans of roots music, blues, soul and jam bands will find much to love here. Since bursting onto the scene in 1998, John Lisi has been hailed as one of the best guitarist slingers in Louisiana – a major rave for the most musical place in all the world. 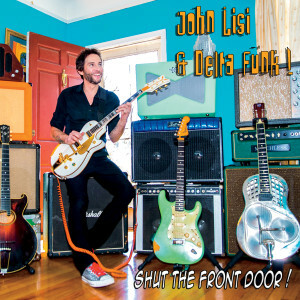 Indeed, Lisi is a master of the Dobro, mandolin, resonator and Stratocaster, as well as offbeat portrayals of everyday life turned into funky-bluesy-body-shakin’ music that just makes a person feel better. 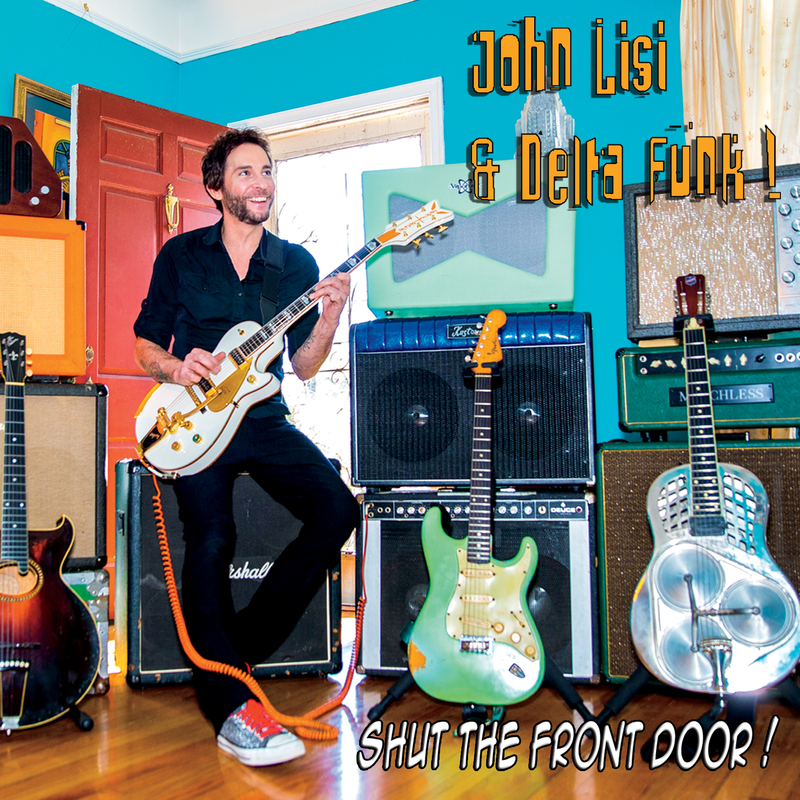 “Shut the Front Door” is Lisi’s brand of “delta funk” – that Big Easy blend of blues, rock, boogie and deep-fried funk – complete with the all essential ingredients: sassy female background vocals, kickin’ horns, in-the-pocket rhythm section, topped with stunning guitar riffs. If you have a taste for Delta cooking, then this, my friend, is your genuine, finger-lickin’ chicken on the bone! 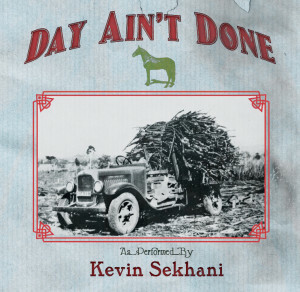 “Day Ain’t Done” is Sekhani’s ode to the working man and their concerns, further enhancing his reputation as one of the outstanding songwriters in the Deep South. This celebration of cane cutters and oil field roughnecks is backed by a crackerjack band of John Mellencamp, Patty Griffin and Son Volt veterans. Equally at home in the dance halls of South Louisiana, or the honky-tonks of the Hill Country, Hank Williams would be proud! Drummer “Mean” Willie Green’s unique attack defined funk drumming for a quarter of a century with the Neville Brothers; sax player Jeff Watkins was James Brown’s musical director for twelve years; guitarist/vocalist Jake Eckert hails from the Dirty Dozen Brass Band; keyboardist/vocalist CR Gruver was a jam monster in Outformation; and Reggie Scanlan was The Radiators’ bassist for their 33-1/3-year run, after backing legends James Booker and Professor Longhair. The latest evidence of the Suspects acumen is their new release “Ouroboros,” named for the ancient icon depicting a serpent eating its own tail. 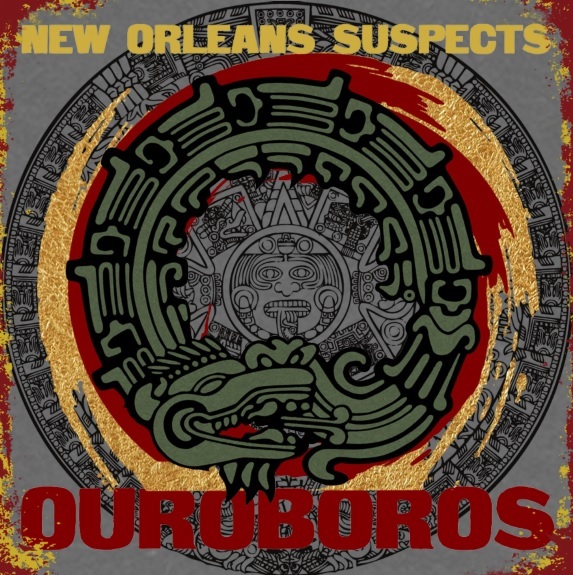 For the Suspects the Ouroboros symbolizes their continual recreation of New Orleans music – an inextinguishable force always being renewed and reborn. 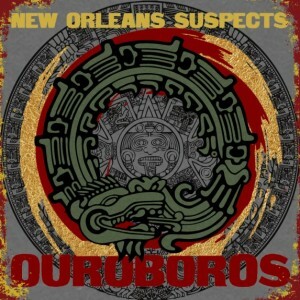 Indeed “Ouroboros” is a masterful, modern compendium of New Orleans stylings. It has fever-inducing funk, irresistible R&B rhythms, Longhair rhumbas, dancing-in-the-street second lines, jazzy soul-drenched horns, mind-melting swamp hoodoo, and feet-don’t-fail-me-now Carnivale music, all performed by a band in a class all their own – five musicians with the experience and versatility rivaling any band that New Orleans has ever produced. Glen David Andrews’ first recording combines traditional marching band and Dixieland traditions with strong jazz and funk influences. 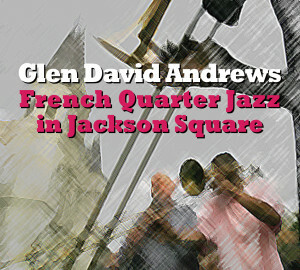 Guests include Kirk Joseph (Dirty Dozen Brass Band).